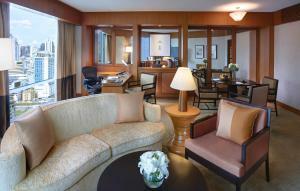 Located in Bangkok's central business district, Conrad Bangkok offers spacious accommodation, as well as easy access to transportation links, shopping centres, eateries and entertainment. Close to the commercial district on Sukhumvit Road, Conrad Bangkok is within easy reach of the mass transit system, which makes for effortless exploration of the city. 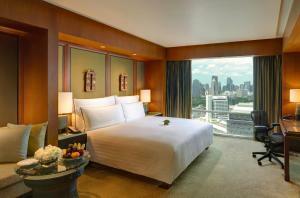 The luxurious hotel is also situated near Lumpini Park. 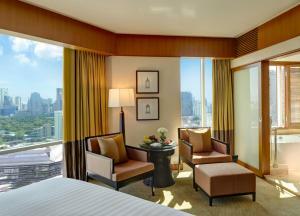 Rooms at Conrad Bangkok are decorated in a contemporary style with a Thai touch that includes silk and natural wood. 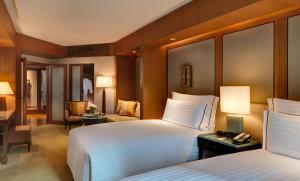 They offer a relaxing environment with its luxurious bedding and pillow menu that will ensure a restful slumber. 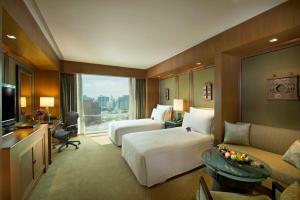 It also features high-speed broadband internet access, dataports and room service. Indulge with a massage or body treatment at Season Spa or work-out at the fully equipped fitness centre. 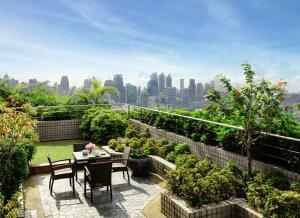 Take a refreshing dip in the outdoor swimming pool or play a game of tennis. It also comes with a sauna and steam room. 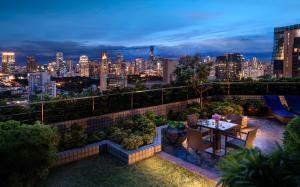 Conrad Bangkok features 5 dining outlets. Guests can experience authentic Chinese cuisine at Liu while Thai and French dishes can be savoured at Café@2. Other dining options include Kisara, which serves Japanese cuisine. Delicious cocktails and non-alcoholic beverages are served at Diplomat Bar. 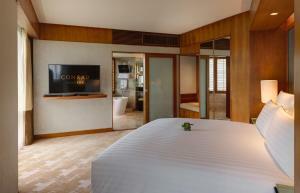 Please note that Conrad Bangkok will be partly renovated until 28 February 2019. During this period some public areas will not be accessible. Inconvenience caused is deeply regretted. 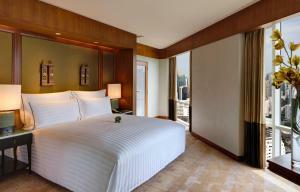 Spacious Thai-style room is decorated with beautiful silks and wooden furnishings. The glass-walled bathroom has a free-standing bathtub and a separate shower. Rate: THB 5976.69 ... THB 14199.30; select dates below to get current rates. Rate: THB 5667.55 ... THB 15411.60; select dates below to get current rates. 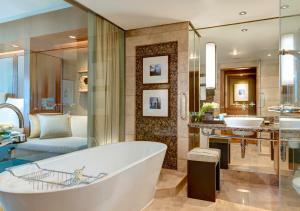 Room features a bathtub next to windows with shutters that overlook the cityscape. Spacious suite with a separate living room. 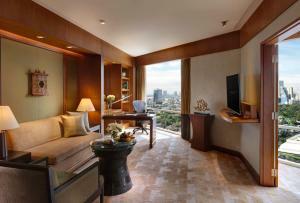 Room features a bathtub next to windows with shutters overlooking the cityscape. This double room has a CD player, DVD player and satellite TV.